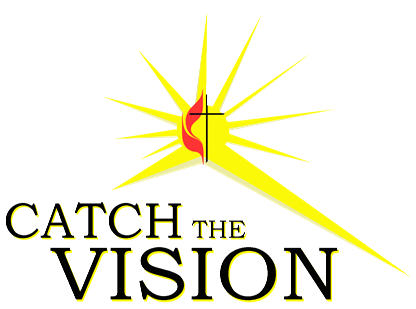 The Elkin FUMC Vision and Leadership Team put finishing touches on plans for this October’s “Catch the Vision Listening Sessions.” These sessions, though similar to last year’s listening events, will have an entirely different set of questions that will delve into what congregation members have found to be effective in several areas of ministry (see questions on next page). Members are strongly encouraged to attend one of the sessions to be held the last part of October. Attendance will provide an opportunity to offer insights and listen to others’ ideas. Using the “Ground Rules for Christian Conferencing” (see next page), these sessions will offer a safe place where discussion of these questions is valued. If you are unable to attend a session, feel free to answer the questions below and deliver them to the Church Office no later than Sunday, Oct. 30. 1. Reflecting on your entire experience at our church, remember a time when you felt the most engaged, alive and motivated. Who was involved? What did you do? How did it feel? What happened? 2. Building Relationships: Concerning our relationship with each other, our fellowship, what characterizes us at our best? How would you describe those times when you have seen Christian behaviors and qualities that have increased the congregation’s social health, faithfulness, love and unity? 3. Nurturing Christian Discipleship: In reflecting upon your faith journey, what has most significantly shaped the way you live out your life? What has brought you closer to God? 4. Reaching Out and Serving Creation: In all of the ways we connect with the local community, the nation and the world, what do you believe are the most important and meaningful elements of our church’s outreach? Describe those times when you believe the church was most faithful or effective in missional activities. What have been your own most valuable experiences? 5. Don’t be humble, this is important information: What are the most valuable ways you contribute to our church’s ministry—your personality, your perspectives, your skills, your activities, and your character? Give some examples. 6. What do you think is the most important, life-giving characteristic of our church? When we are at our best, what is the single most important value that makes our church unique? 7. Make three wishes for the future of our church. Describe what the church would look like as these wishes come true. For the full article see the September 29, 2016 editon of The First Word.